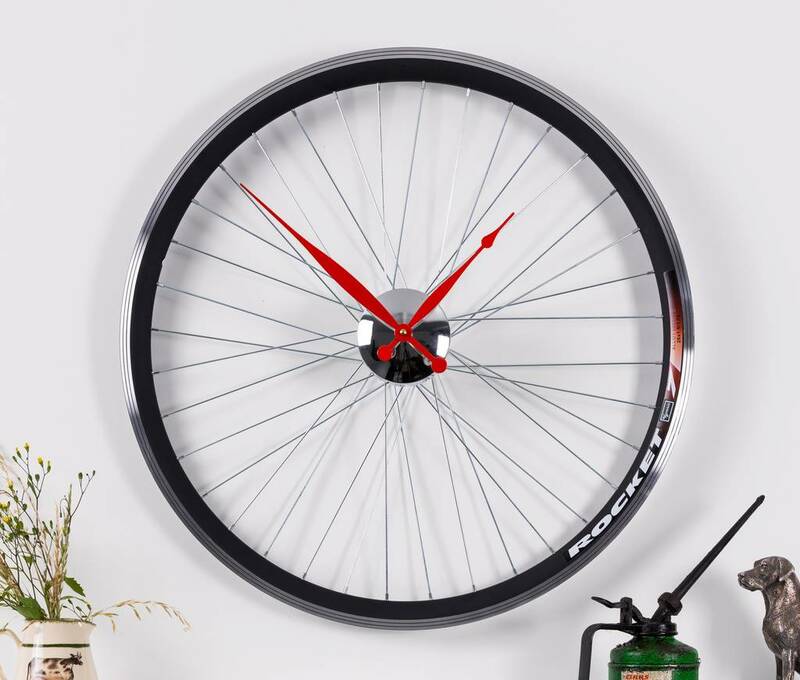 This stunning bike wheel clock is produced using a high specification, racing bicycle wheel. 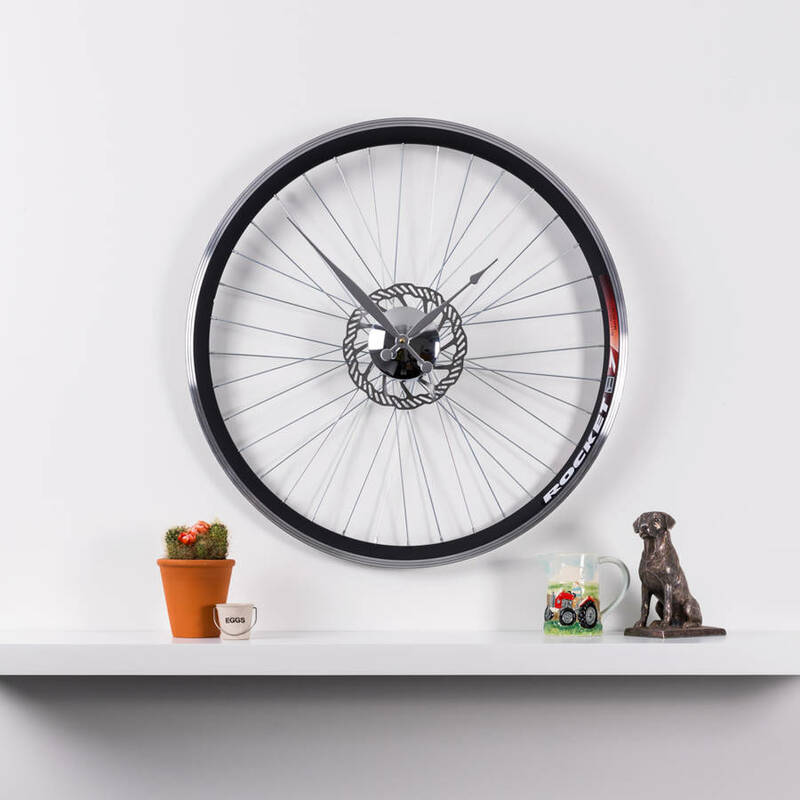 The wheel has a curved, two-tone, matte black inner edge, and a silver finished outer edge, with a chrome hub that houses the clock mechanism. 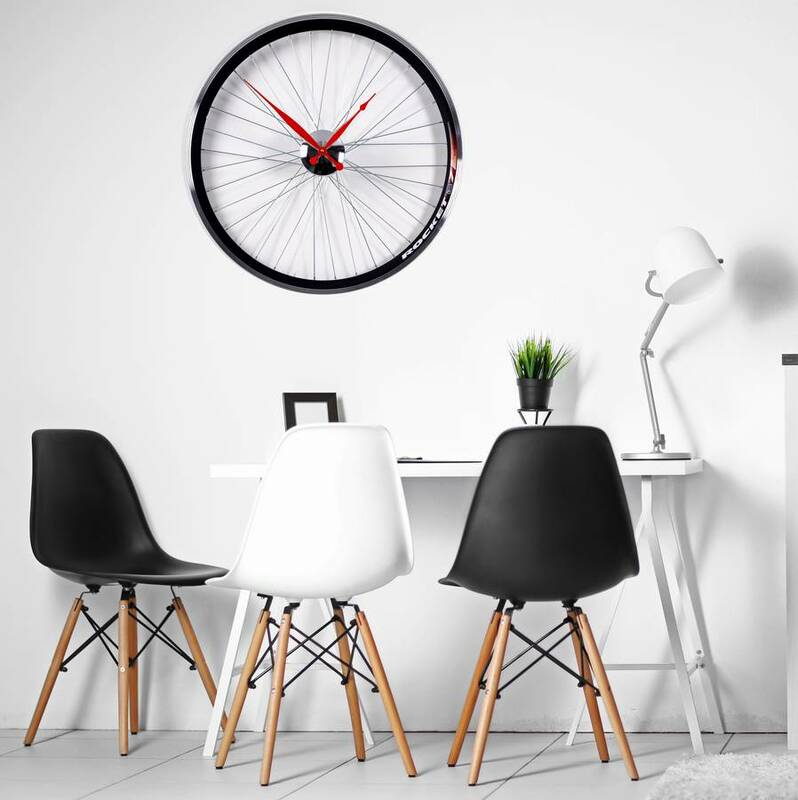 Is also features a polished brake disc decoration in the center. 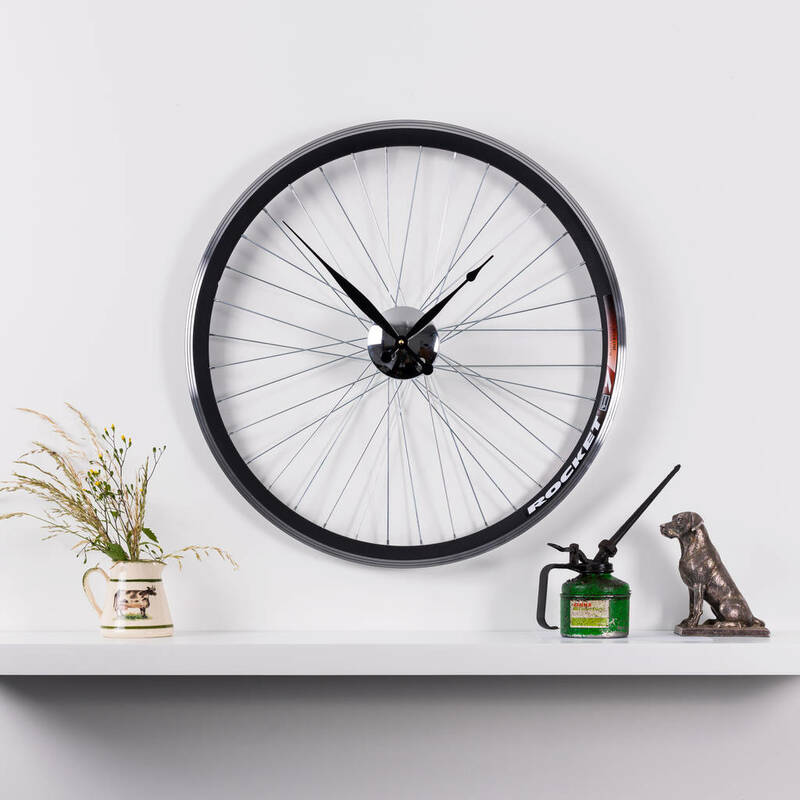 Using a single screw, the clock sits flush to the wall, giving the illusion that it is floating. 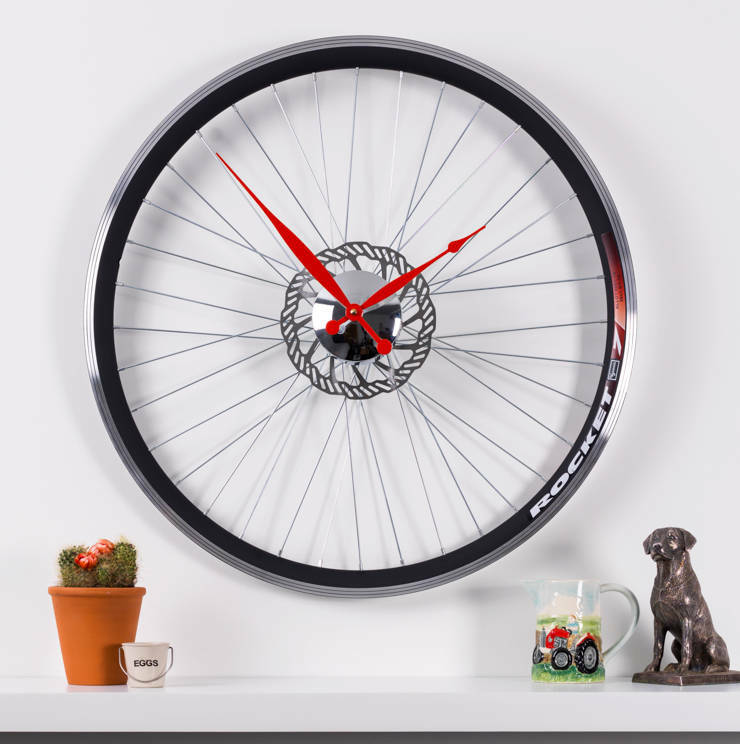 Whether you're a lover of cycling, one-of-a-kind clocks, or just great design, it's a distinguished art piece for any space.